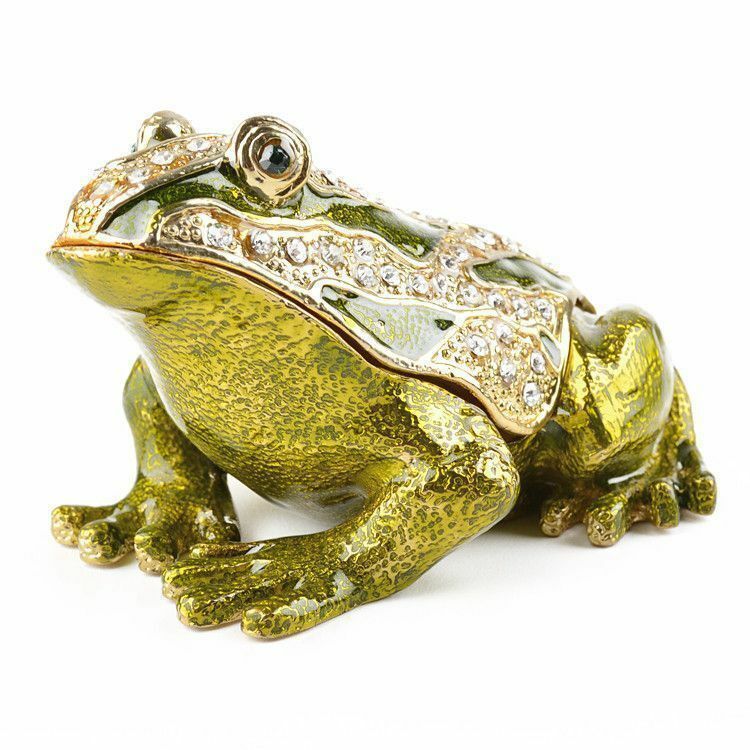 The ultimate in decorative luxury work of artisans Faberge style trinket collectible boxes. 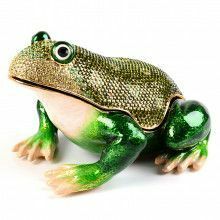 This beautiful frog is large in size. 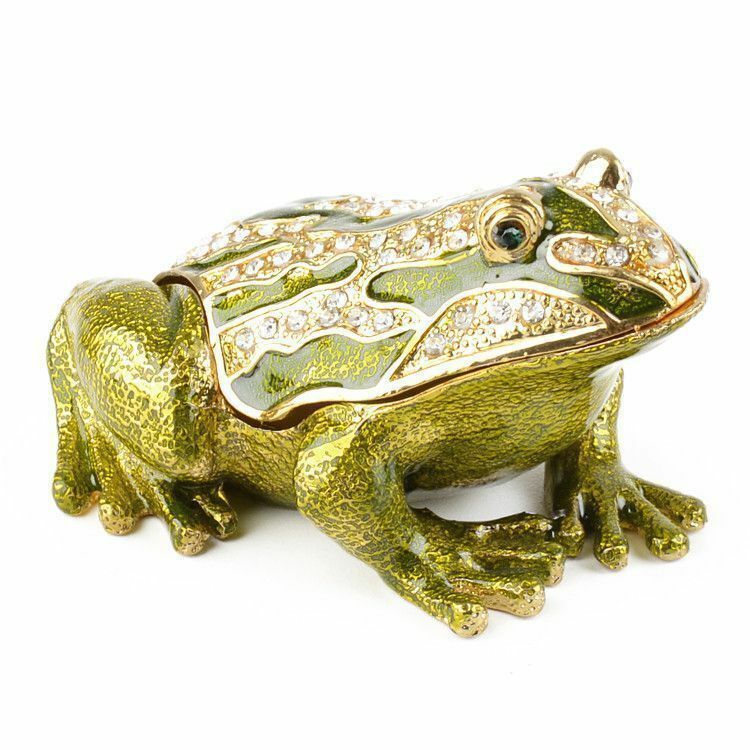 It is pewter molded, hand enamelled, and adorned by Swarovski crystals. 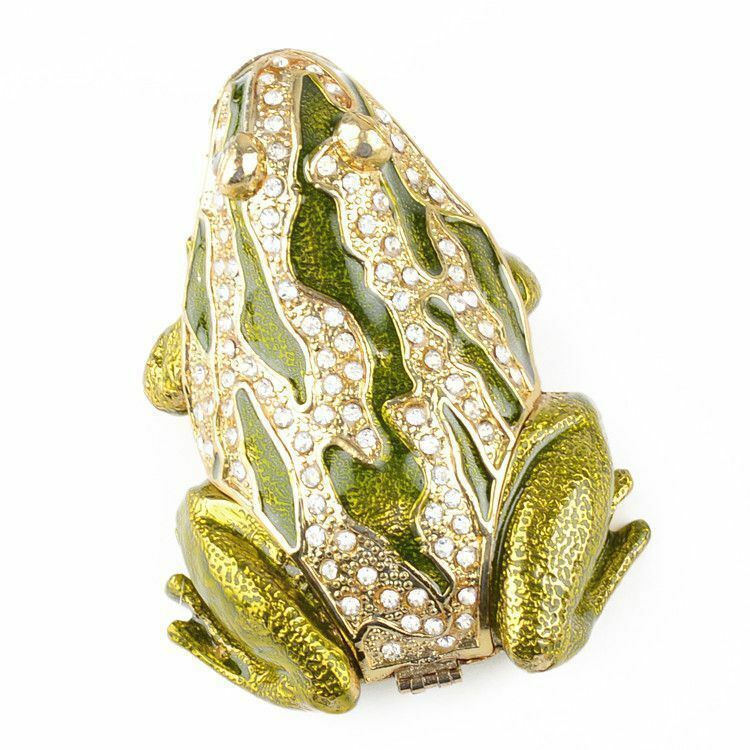 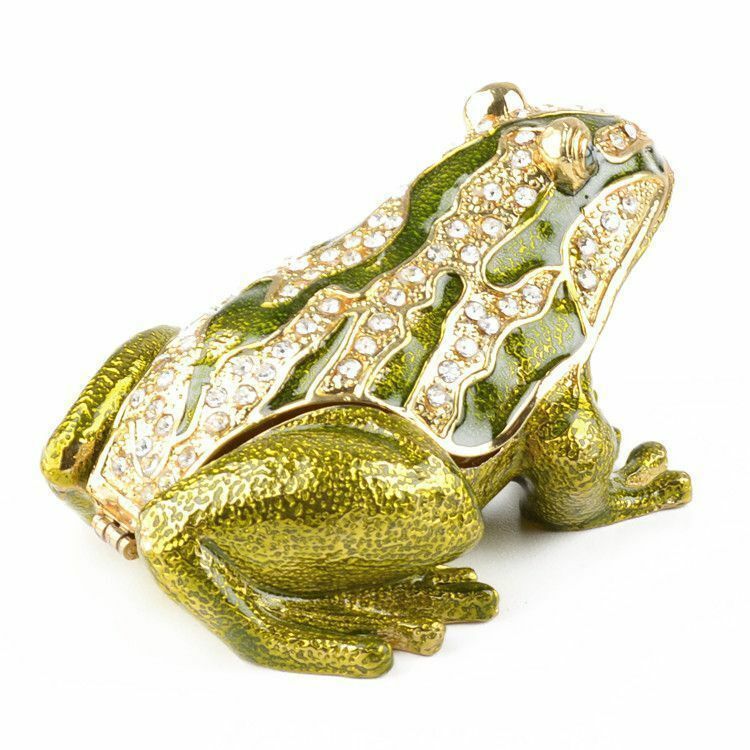 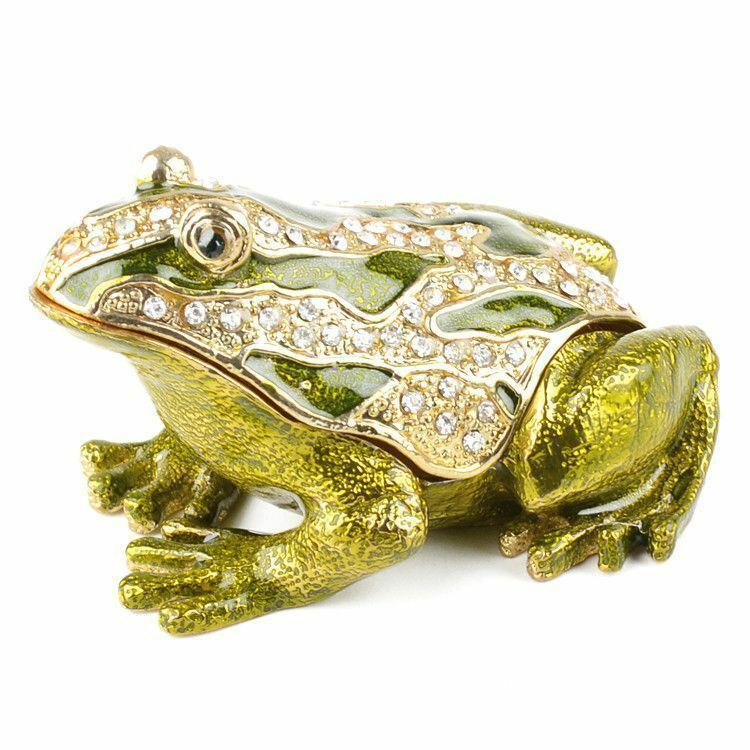 There is a magnetic clasp that keeps the frog closed. 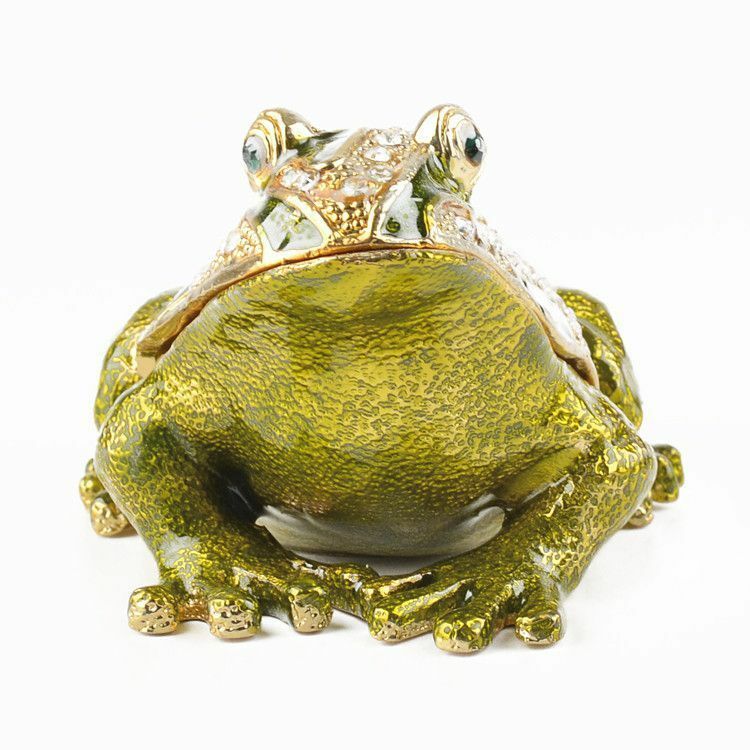 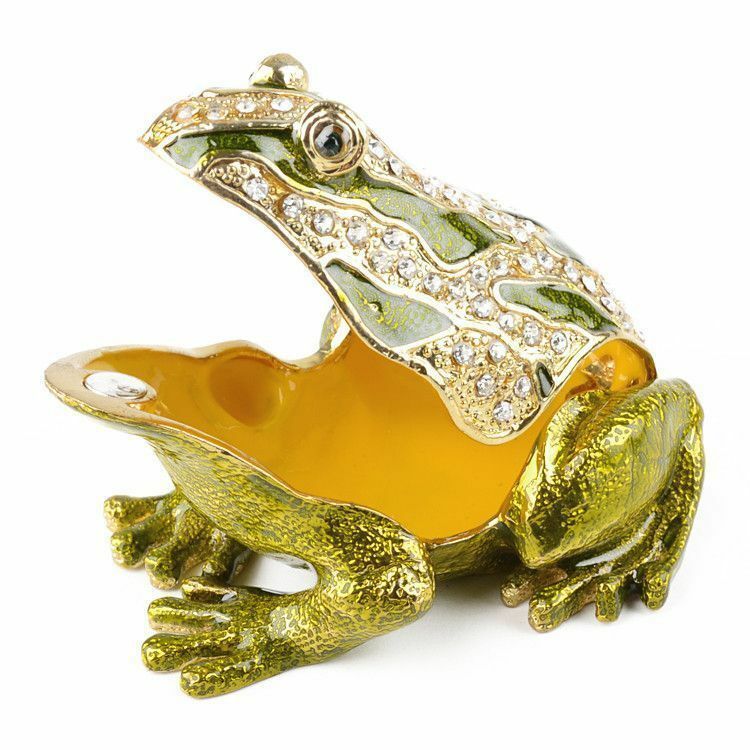 The inside of this 3 1/2" length x 3" width x 2 1/2" height frog is bright yellow. 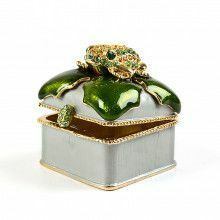 Open it up and you'll see lots of room to keep your favorite jewelry or other close to your heart items.